REDUCED for quick sale – $15,000. – Classic Chris Craft 37' Constellation Express Cruiser is constructed of Philippine mahogany, bottom is double-planked and hull sides batten-seamed. 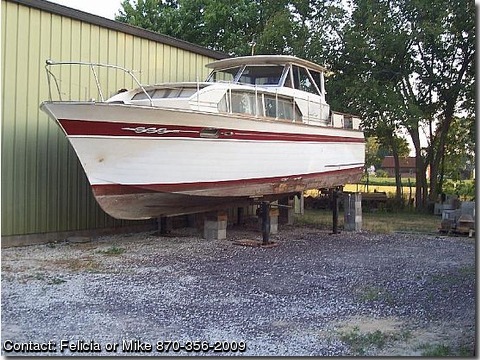 Manufactured at the Holland, Michigan plant, shipped out on Jan. 13, 1965 to Lake of the Ozarks Arrowhead Yacht Club.